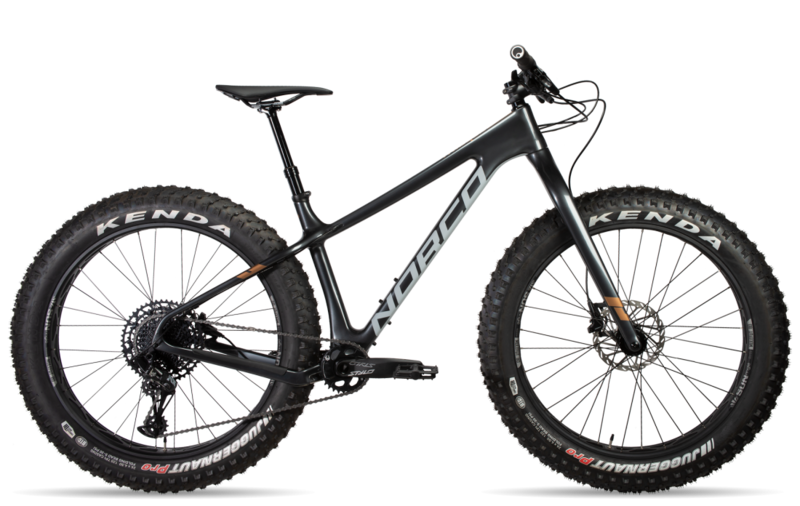 Hot New Bikes now in stock! 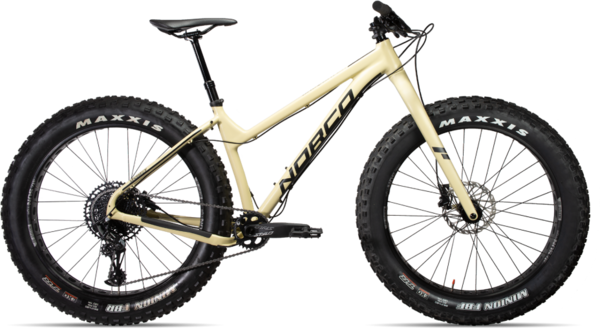 New models from Santa Cruz, Norco, and Fuji. 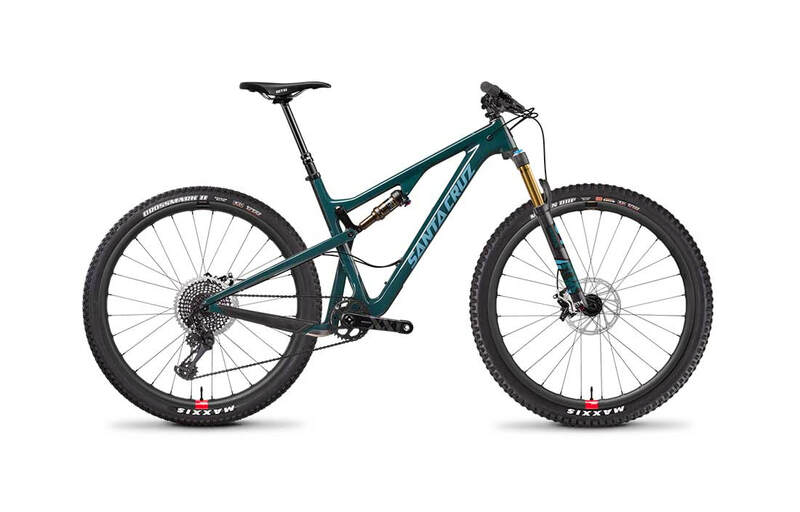 Full suspension, e-bikes, 27.5+ tires, fat bikes. 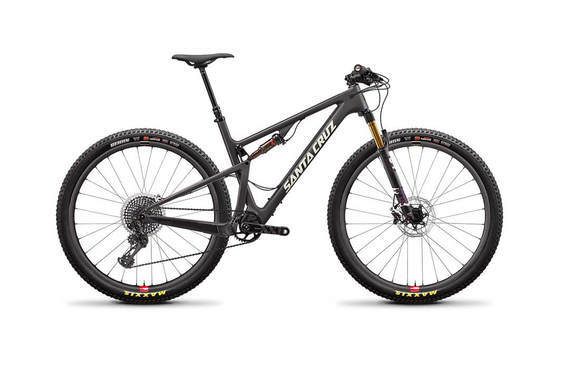 We have the perfect bike for you! 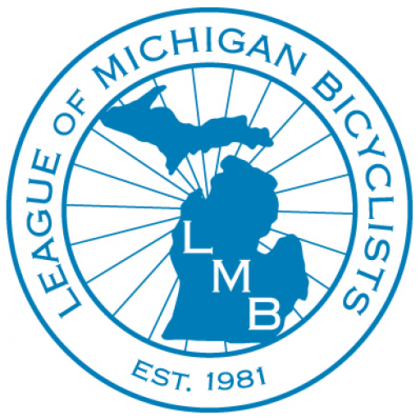 Join us on our signature Leelanau Wine Trail Bike Tour. This tour is a great and unique way to experience some of the best of Michigan's wine country. 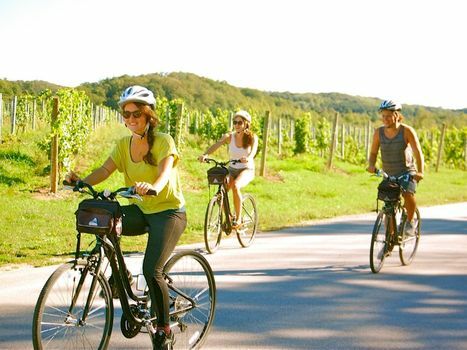 Roll down the paved Leelanau Trail to boutique wineries along the way. ​We will pick up your wine and bring you lunch to enjoy overlooking the vineyards. Cycle one way on the Leelanau Trail. Thanks to Bata's "Bike n Ride." This makes for the perfect day; rent a bike, bike down the trail, have lunch in Traverse City, perhaps rewarding yourself with an ice cold pint (or two) of locally brewed beer (Workshop Brewing and North Peak Brewery are wonderful options), then hop (pun intended...) on the Route10 BATA bus and enjoy the 25 minute scenic ride up M-22 back to our shop. 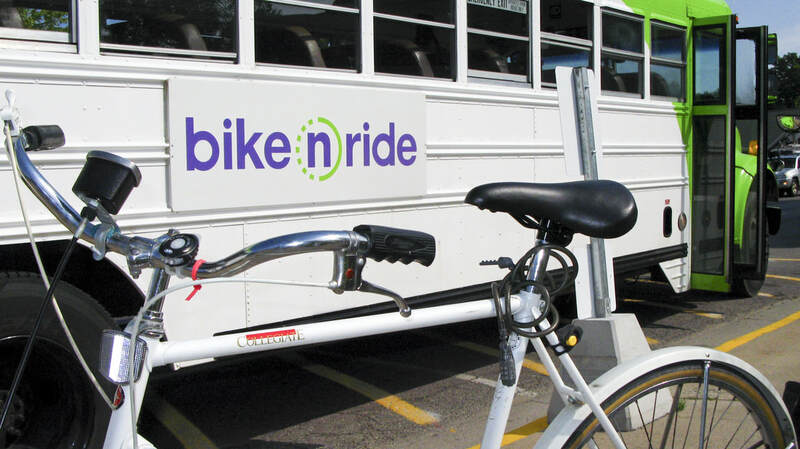 ​Route 10 pick up and drop off is 100 feet from our back door! 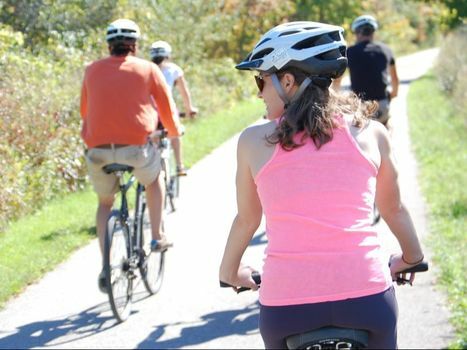 Get outside with Suttons Bay Bikes this season! We offer a wide range of rental equipment, so you'll be ready to tackle your next Leelanau Adventure. All of which can be rented by the hour or by the day. Multi-day discounts are available. ​We also offer free delivery within Leelanau county. Just off the iconic northbound M-22 (locally St. Joseph Street), our small shop features a large inventory of cycling gear, cycling apparel, parts, and accessories. 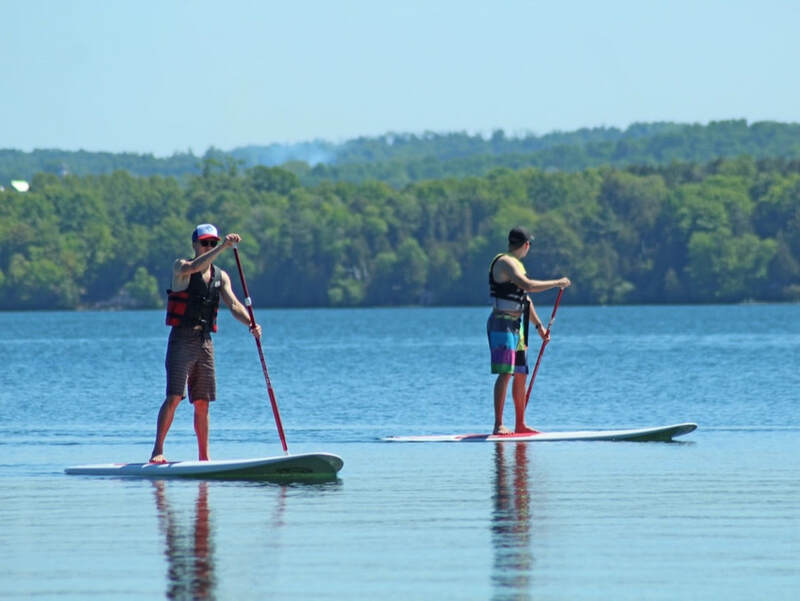 We carry seasonal recreation equipment for the whole family including paddleboards, cross country skis, and snowshoes. 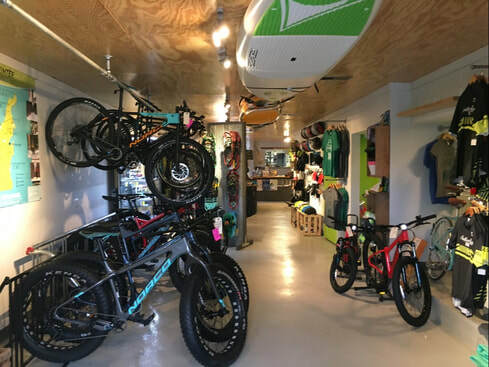 We are a small town, big adventure bike shop located in the heart of Leelanau County just off the beach in Suttons Bay. 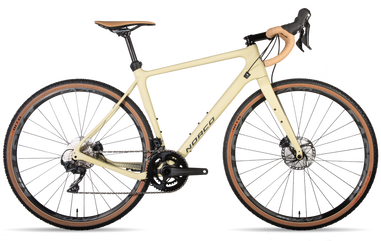 Let us meet your cycling needs and more with our broad selection of top-of-the-line bicycles, full-service mechanic shop, and the gear, parts and accessories for your best ride. In addition to cycling, we specialize in offering on-site rentals in all seasons including bike rentals that roll out the door to the Leelanau Trail, paddleboards and kayaks that can be brought down to the bay, and winter sports including cross country skis, snowshoes, and fat tire bikes that can be taken out to enjoy area trails, vineyards, and preserves. ​As a year-round destination, we connect you with opportunities to explore and enjoy the best of Northern Michigan. For a personalized, customized bicycle fit, we trust the people at Ride Science to help you discover a better fit for your riding style. We Rent E- Bikes! 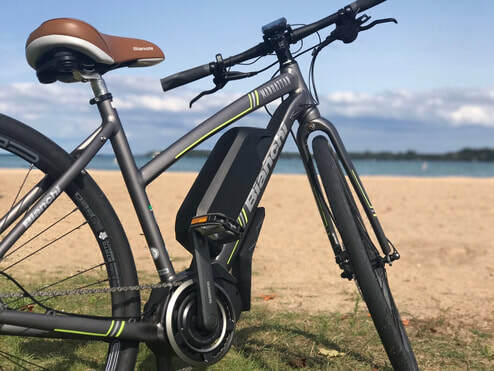 Come test ride the new Bianchi Manhattan E-Bike. ​The Shimano drive pedal assist bike will change bicycling. Bianchi electric pedal assist bikes are also now available to rent or upgrade tour! ​Flat tire? Need a seasonal tune up? Want to upgrade your bike's components? Our service center can take care of your bicycle needs, whatever they are. Schedule an appointment with our service professionals. ​Walk-ins are always welcome! Stay up to date on store promotions, product features, sales, special events, and shop happenings when you subscribe to our quarterly newsletter.